Fassett Bowties: progress report | In the Crayon Patch.. 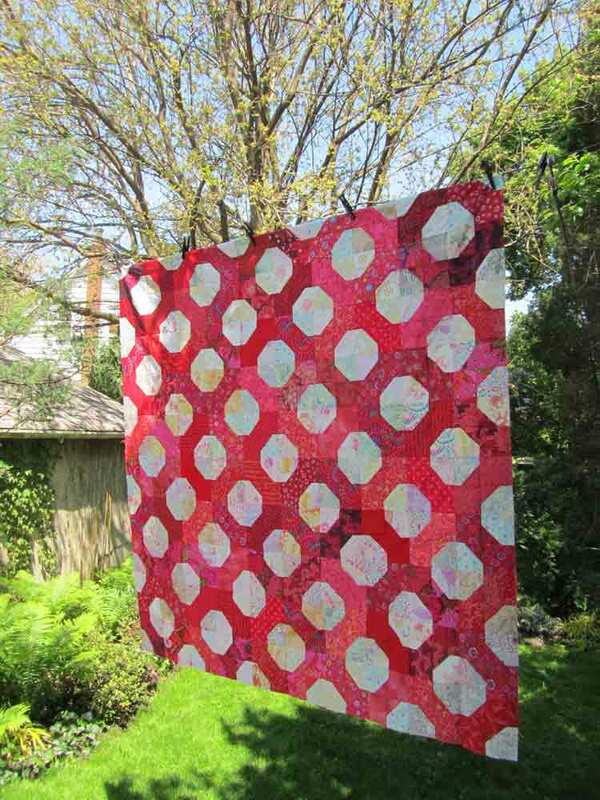 I started this quilt last summer, and finally spent some time piecing the blocks together. The reason for the long delay is I decided I would add the double row border that is on the original Kaffe version, in which he reverses the light and the dark in the pattern. Needless to say I did not cut these at the start, which meant I needed to dig out these fabrics again, didn’t have enough of some, so I needed to purchase more fabrics (sigh!). Doing the math, I realized the double border almost doubles the number of blocks required. Right now it is 10 x 10 = 100 blocks. Two more rounds requires 96 more blocks! I’ve got them cut out now, but will take a breather from this.